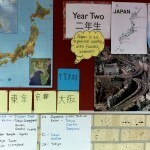 Japanese lessons provide an opportunity for students to inquire into the language and culture of Japan. Through the central idea, students develop and gain knowledge about a variety of topics. 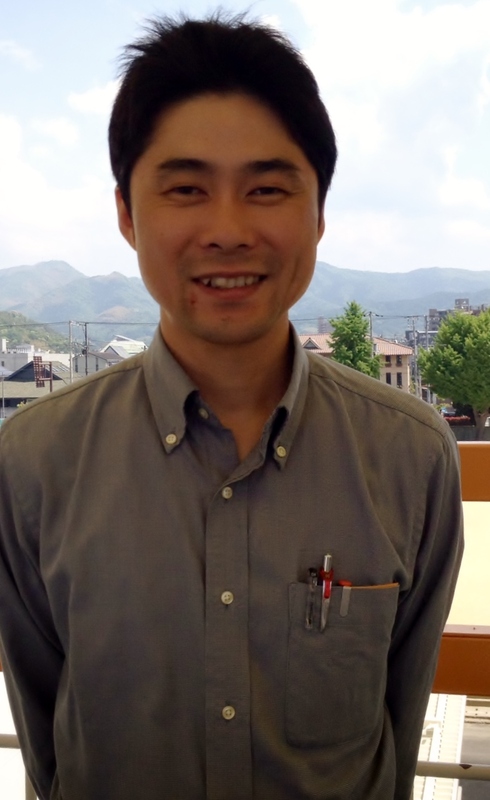 We further enhance our inquiry process by Skyping with Fuzoku Elementary School in Shikoku, Japan. 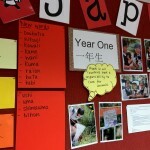 Students are encouraged to speak as much Japanese as possible in the classroom. 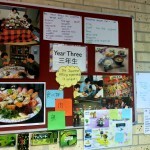 This is also extended into their home class with teachers and students encouraged to use common Japanese phrases. 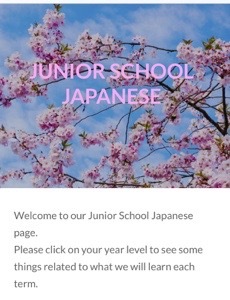 Please go to the Japanese Weebly to view resources and audio files for each year level. 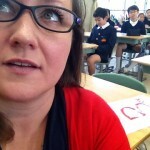 Skype sessions with Fuzoku Elementary School in Japan. Year 6 students enjoyed learning, ‘Soran Bushi-The Fisherman’s Dance’ today as part of their, ‘How we express ourselves’ unit of inquiry. This is a SORAN BUSHI tutorial. Students have been inquiring about different art forms including Kabuki Theatre, Noh Theatre, Hokusai’s 36 views of Mt Fuji and Origami. These art forms have stimulated a variety of responses and given students an opportunity to analyse the perspective of the artist and the cause for the performing art and art itself. 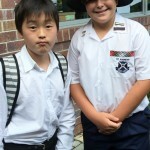 On Monday, March 25 in Week 9, twenty Japanese students will join our year 4 and year 5 classes for a Half day Cultural Exchange. We encourage all St Andrews students to try and communicate with the Japanese students and engage in this cultural exchange. Year 6 exploring How We Express Ourselves with Sensei Pratt. 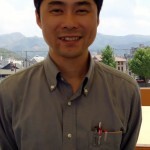 A voicethread from our friends at YIS! 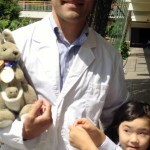 Look here for the photos (and here) of our recent Japanese visitors from their website. The Junior Japanese WEEBLY (work in progress). 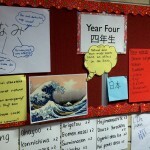 Students at St Andrews Lutheran College have the opportunity to experience Japanese language and culture by joining the TANOSHII NIHONGO KURABU which is held every Tuesday first break for Years 3-6. We hope you will come and visit our pages. 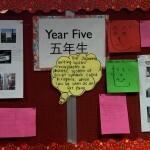 This is wiki is a tool for collaboration with teachers from YIS and St Andrews. 2009 has been an exciting year for japanese at st andrews. We have been studying new things. 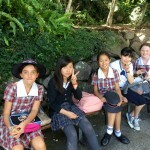 Year 5 students have the chance to learn manga drawing. 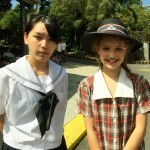 They also used skype to talk to students in japan at yokohama International school. 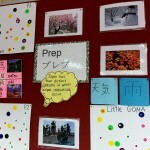 Prep students are now learning about weather and seasons in japanese. They have made a beautiful cheerryblossom tree in the japanese room. in our unit of inquiry for year 4 How we express ourselves students memorized a telephine conversation in japanese. 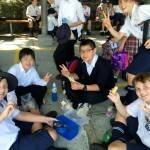 Some students took action and called japanese friends in japan.